In working with Colorado divorce clients, we have found three areas often neglected by attorneys, mediators and “do it yourself” folks. This post will provide you with information to avoid potentially costly mistakes surrounding debt and divorce. Obtain Your Credit Report. Every person facing a divorce or legal separation should take a moment to run their credit report using a free service such as www.AnnualCreditReport.com (this will not negatively impact your credit score). Even if you believe that you know all of your outstanding debt obligations and your credit score, you should not overlook the value of obtaining your credit report at the time of your divorce. When reviewing the information in your report, you should pay particular attention to any debts listed jointly with your spouse. Frequently clients believe that a financial institution issued the debt only in the name of one spouse but learn from the credit report that the debt is actually in the name of both spouses. In other cases, you may have forgotten about an account carrying a "zero balance" but still listed jointly with your spouse. Remove Debts from Joint Names. 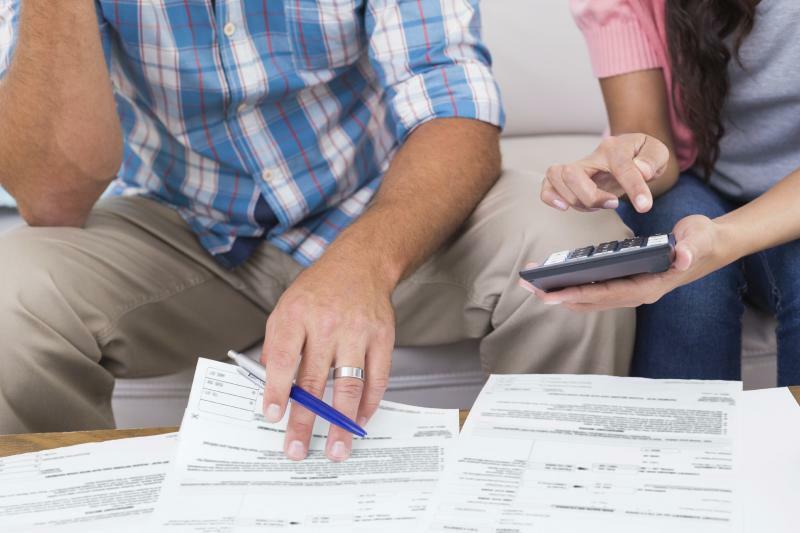 In the event that you and your spouse hold jointly titled debts, you should contact the associated financial institution regarding the most efficient way to remove the debt from joint names. In some cases you may be able to simply remove one party as an "authorized user" while in other instances, the institution may require closure of the account. Ultimately your Separation Agreement should specify the payment of any outstanding balances on these joint debts as well as a date certain for removal of the debt from joint names. This may even include the refinancing of jointly titled vehicle debts (for instance car or motorcycle liens). Real Estate Debts in Joint Names. In addition to joint debts on credit cards and vehicles, you should also make a plan to remove real estate debts from joint names. Remember that there is a difference between the deed on your home and the associated mortgage or home equity line of credit. While it can be relatively easy to remove someone from a deed, the more complex issue is removing your mortgage from joint names. You should contact your mortgage company or a mortgage broker and evaluate your options. Some lenders still allow for an "assumption" of the mortgage debt which is simply a removal of the other party from the loan. This option allows you to retain all current loan terms but simply remove the other party from the obligation. In the event that this is not an option, you will need to consider refinancing of your home in order to remove the debt from joint names. Because your Separation Agreement should contain a specific date for this to occur, you should meet with a mortgage broker prior to signing your Separation Agreement in order to determine your options, including the impact on your ability to obtain financing with consideration of support obligations or income. We Can Help. At Split Simple, we guide you through all of the issues associated with debts at the time of divorce and can assist you and your spouse resolve these issues and move forward with your lives. Previous Post « How Will Child Custody Be Determined?